Take the opportunity to challenge yourself. 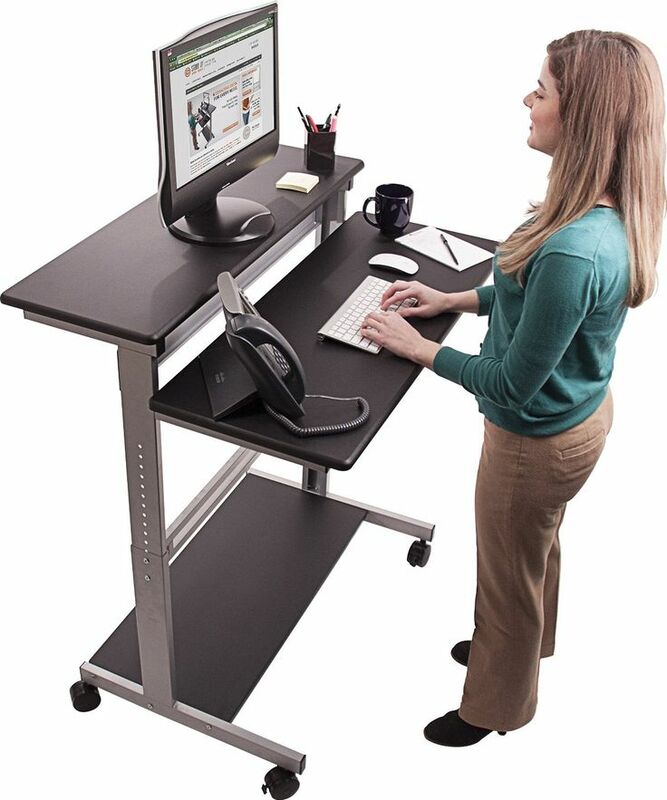 Try standing at least 2hrs/day throughout the work day. Keep in mind you know your own body! Keep good posture while standing.